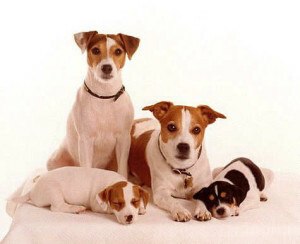 If you are looking for the best dog groomer Weston, look no further! 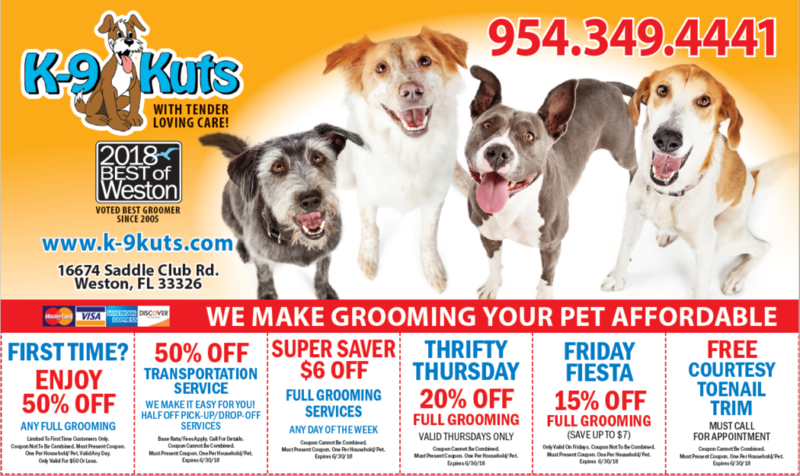 Call K-9 Kuts to set up an appointment for your four-legged friend today. Fathers Day is coming up, so we think we’ve found the perfect picture for this post of this very proud papa, his wife and their pups. We want to dedicate this blog post to all the dads out there. We know how much you do for your families on a daily basis and we just want to wish you a very special and enjoyable day. Hopefully we can make the lives of all you dads a little easier by letting us take care of your pet and make them beautiful and keep them healthy. 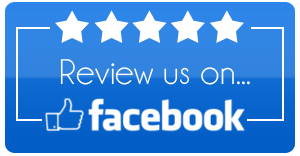 What could be easier than picking up the phone and calling us at 954-349-4441 to make an appointment? Then you can just print the coupons below, and put the savings right back in your pocket. Remember, please don’t e-mail us with appointment requests, calling us is the best way to get your questions answered and your appointments set. Please feel free to print out the sheet of coupons below. All of the offers expire June 30th, 2018.